Ford recalls 270 Lincoln Nautilus SUVs due to problems with the driver-side plastic airbag covers. November 17, 2018 — A 2019 Lincoln Nautilus recall is needed for more than 270 SUVs that are not equipped with adaptive front steering. 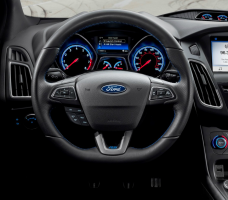 Ford says the driver-side airbag modules may have injection-molded plastic covers that can separate during deployment. Ford isn't aware of any crashes or injuries related to the airbag modules, but occupants will certainly be in danger if the covers separate. 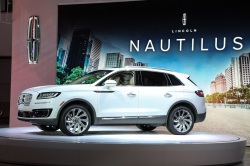 The 2019 Lincoln Nautilus SUVs were built October 11-19, 2018, with 268 SUVs located in the U.S and three vehicles in Canada. Ford dealers will replace the driver-side airbag modules, but the automaker didn't mention when dealers will start the recall. Customers with questions should call 866-436-7332. 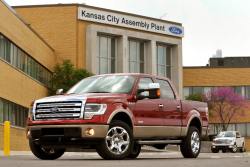 Ford's recall number is 18S38. 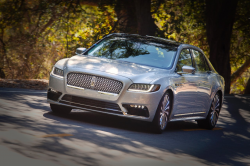 CarComplaints.com has owner-reported complaints about Lincoln vehicles.